When it comes to documenting your wedding day in a way that will last forever, there is no replacement for a talented videographer. After you meet Michael and Shanna with Nostalgia Film, you will know exactly how awesome videography truly is. You’ll be adding a videographer to your list of vendors in no time. What made you want to be involved with the DIY wedding industry? Michael and I were planning our own wedding in 2010 when we started brainstorming one night about the idea for Nostalgia Film. He had been in the video/film industry his entire career and I had studied film and made my first Super 8 film in college. We were both seeking a little more creative fulfillment in our lives and careers… and really wanted to be able to collaborate. All of this intersected with the fact that while planning our own wedding, we found this niche for a new perspective on wedding videography that we thought really needed to be filled. We weren’t being inspired by what we found–we did the bridal expo and all of that–and nothing really spoke to us in terms of artistry and documentation of how we wanted to look back on our own wedding day. I just told a guest at a wedding the other day, our job is awesome because we get to be a part of one of the happiest days of a couple’s life. The happiness and anticipation–the whole spectrum of emotions is such an incredible thing to be a part of. Plus, when we are shooting–especially film–it’s a very in-the-moment process which can be very joyful, spontaneous, and artistic, and at times meditative. The best moments to capture on film are those special things that happen in a split second–they way a couple looks at each other, the silly dances they do when they think no one is looking, the way the nervous groom sweeps up a giddy flower girl–those sweet moments that you have to be very aware and present to capture. What did you do before becoming a videographer? Michael’s been self-employed in video production for about 15 years, and still is. He has worked for many companies, including music festivals, Discovery Channel, Fox Sports, HBO, ESPN, and the Longhorn Network, and others. I have worked as a journalist and web designer/developer, and do web design/development and designs jewelry in addition to helping to run Nostalgia Film. How would you describe your own wedding style? We just wanted to throw a big, laid-back party for family and friends! We got married on the river out in the country and had a very creative, DIY wedding with little hints of Dia de los Muertos inspiration – papel picado, tres leches cake with sugar skulls, Mexican food. We made a lot–decorations, homebrew, ceremony accessories, jewelry, hair clips, I did my own flowers, including my bouquet with some help from gal pals the morning of the wedding over coffee, and I wrote the ceremony with help from Michael; a good friend officiated for us. We celebrated three days–we swam in the river, had a really good time! I have written a lot about DIY wedding advice and our wedding on our blog. How would you describe your DIY skills? Pretty fierce! For our wedding, I made hand-sewn pennant flags, hand-painted mason jars, sewed a ring-bearer pillow, made a card box, sculpted little items for our guest table, designed save-the-date postcards and programs, made a flower girl basket, made boutonnieres, and made jewelry and hair accessories for my bridesmaids, as well as doing all of our flowers with help from my girl friends. I already had an etsy shop, so making stuff was something I was really comfortable with. Michael painted signs, made a chalkboard, and brewed us some delicious home brew beer, which the guests really liked! Do you publish your work on a blog? If so, how often do you post new images? What social media channels do you frequent? Facebook, twitter, pinterest, tumblr, something else? Describe the best (or worst) wedding you’ve ever seen, and why was it the best (or worst)? Goodness, I really love every wedding we’ve shot! And I’ve really felt so lucky to meet every couple we’ve met. The kind of people who are drawn to film are awesome, creative people. We have been privy to some beautiful, heartfelt, and unique celebrations. The only thing that I would ever say is just don’t try to be too ambitious! I definitely was with my own wedding (saying this as someone who had a three-day-DIY celebration), and I think sometimes that can detract from the couple’s enjoyment of their day. Sometimes the simple and scaled back is just as meaningful and amazing as any large-scale production. Did you start your business from scratch? We did, just Michael and I in 2010, and we’ve been flying by the seat of our pants and learning a whole lot ever since. What is your philosophy for ensuring a happy customer? Lots of communication! We want to make sure we come up with the best possible package for a couple’s wedding–whether it’s film, video, or both. We’re always available by e-mail and phone throughout the planning and time leading up to the wedding. And we really like to get to know our clients, who they are–that factors in to how we shoot and edit. We like to go above and beyond, too, sometimes doing more than promised, just to make sure our couples get the best possible film… we want it to be a family heirloom that they’ll watch again and again. How do you get to know the couple before the wedding? Ideally we’ll meet over coffee or a drink, but we work with out-of-state clients so the phone and Skype come in handy there. We’ll e-mail with the couples leading up to the wedding, and check in the week of usually by phone. 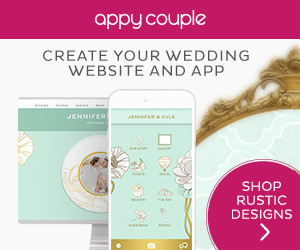 We love when couples send us their wedding websites or anything else that helps us to get to know them, too! I love seeing engagement photos, stories of how they met, etc. What specific criteria do you have for working with a new couple (if any)? Usually in that first meeting, it’s just about making sure we hit it off. After all, we’ll be working guests at your wedding! We tend to get very creative and fun clients by the nature of what we do. We like to make sure our couples understand the nature of film if they choose that route, or if a hybrid film and video package might work better for them. And otherwise, it’s just making sure we can accommodate with our schedule and travel. How many hours does it take for you to record and edit the film? Usually six to eight hours on the day of, sometimes more, then depending on if it’s video or film or both, the post-production time varies. Video and the hybrid packages take a lot more time in post-production–at least a week or two of choosing music and editing, but the film packages also take time to be shipped to our lab to be developed and telecined, but the editing is usually a little faster since it’s more of a music video/highlights style. We usually ask for four to six months to finish a film after the wedding, especially during the busy seasons when we are shooting every weekend. Do you work with any other vendors on a regular basis? We have been lucky enough to work with some fabulously talented photographers both locally and nationally, including The Nichols, Cory Ryan Photography, Joie La La and others. Working well with the photographer is important since we work so closely in conjunction–sometimes sharing light or coordinating tripod placement and where we position ourselves–it’s like a dance. We’re looking forward to working more and more with the talented photographer who shot our own wedding, Heather Curiel, who also does amazing bridal tintypes–we’re headed to Oklahoma in June to work in tandem; it will be so fun! We also have a short dream list of photographers we hope to work with, including Suzi Q and Katherine O’ Brien–we geek out when a photographer shoots film! We’ve worked a couple of times with DJ Jeremy Cox, who’s fantastic. We’ve worked with really talented event designers, too–Sweet Sunday’s wildly creative work blew me away the other weekend. We have some exciting stuff to publish in the next few months! I also co-founded Austin Wedding Party with a friend and am looking forward to collaborating more with the talented vendors I met and got to know better during that process, including HarperMadison Designs and Inspired Events & Designs. 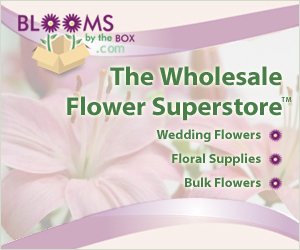 Do you offer custom packages, and what is your most popular package/product/service? We offer a couple packages in each of three categories–Super 8mm film, HD video, or a combination of both. Super 8 and the hybrid packages are definitely our most popular since that’s something we offer that’s relatively unique. Super 8 is a magical, dreamy, and evocative format with vintage sensibilities. It’s well-suited to outdoor weddings with lots of natural light and perfect for rustic or vintage-styled weddings. 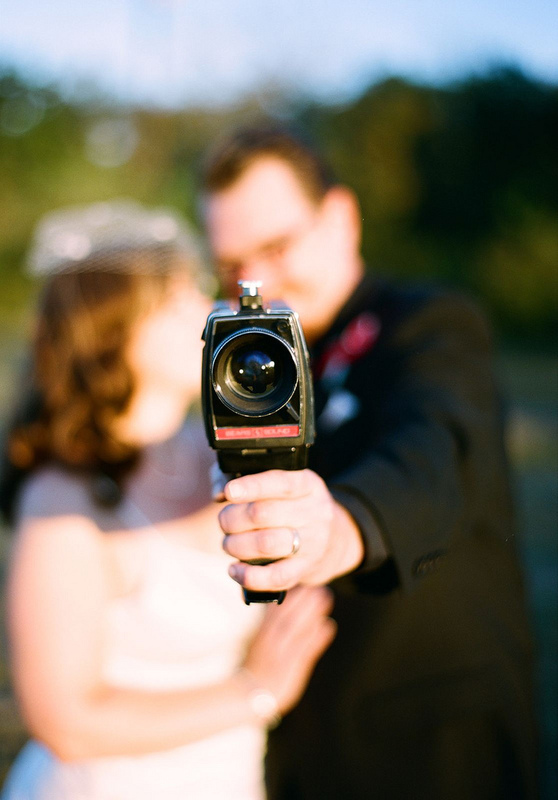 Often, the bride or groom will tell us, “I want a wedding film that reminds me of old home movies.” Since Super 8 is a silent medium, we edit the Super 8 to music, sometimes using audio from the ceremony or toasts to sync short clips if the couple requests it. It really is the best moments of the day, captured in a really watchable way that has the power to evoke memories and emotion, even years later. As well as a highlight and longer video edit, couples also get the archival Super 8 footage–actual celluloid film that can last 100 years when stored well. I think in the days of instant gratification, and anyone being able to shoot video on their cellphone, that having something high-quality and made to last generations is something really special. I’ve written a lot more about the uniqueness of and my love of Super 8 on our website and blog. We offer cinematic and documentary-style HD video for those couples who want to capture every detail and full audio of the ceremony, cake cutting, toasts, and first dances, and we give them a longer edit, as well as chapters, and a short highlight film to share with friends and family. And we offer hybrid packages that combine Super 8 and HD for the best of both worlds. Sometimes a couple will want all the magic and beauty and nostalgia of the Super 8 film, but will also want more detailed documentation of the ceremony and reception, so then a hybrid with film and video is perfect. Also, it’s great when the couple can’t agree on which to choose! Video is a lot more flexible with low-light, too, so if they want more details once the sun has set or at a low-lit ceremony, then combining the two is a good fit. Why should our readers hire a videographer, and what makes you better or different than other videographers? We are different in a couple ways, most noticeably that we shoot Super 8. It has a magical quality to bring you right back to how you felt in that moment, whether just weeks or months ago or 20 or 30 years ago. That’s something really special. These films can become a family heirloom, and the archival footage we provide can be potentially converted–with just light and a way to move the film–to whatever the yet-to-be-dreamed-up format of the future is. Plus, we are a husband-and-wife team, that really helps the day of–I can go with the bride and Michael with the groom. If you’ve ever gotten married, you know the bridal suite can get a little crowded and intense, so it helps that I’ve been through it and can try to be unobtrusive. Then as we are shooting, we can communicate sometimes with just a look, and in editing we can bounce ideas and perspectives off each other. Michael’s a talented editor, and I have a knack for picking music, and I know if I come in when he’s editing and get a little teary, it’s a good film. I see a lot in articles and hear firsthand from newlyweds that not hiring a videographer is one of their biggest wedding day regrets. I can tell you, personally, I would love so much to see my dad’s toast or our first dance or the faces of some of our older relatives. Ironically, we didn’t hire a professional videographer–after searching high and low for someone with the style and artistry we desired and who fit our budget, we eventually gave up. Even the week of the wedding I was struggling with that decision. We had three friends shoot amateur video and film for us that we’re still trying to make something of in editing. So firsthand, I can tell you, I regret not hiring a videographer. Plus, couples invest so much into their wedding day–time, talent, money–and it goes by in such a frantic whirlwind, that photography and videography are the only investments in the day that last and last. Shanna was so gracious to share her story, and we are very grateful to have Nostalgia Film at DIY Bride this year. She’s a true delight to work with, super easy to reach via email, and we gladly give her our highest recommendation! Disclosure: DIY Bride has a financial relationship with Nostalgia Film, meaning we may have received compensation for this content and/or related content. We firmly stand behind our review and recommendation, and are committed to promoting only those companies we feel offer our community excellent products, ethical business practices, and outstanding customer service. On the wedding day a wedding videographer plays a vital role. your contribution towards make people realize about the importance of hiring a videographer to shoot wedding is remarkable.Being a videographer you have done a great work to make people understand how we can make thier wedding day special. Thank you so much for featuring Nostalgia Film! We’re delighted! You’re welcome, Shanna! Videographers don’t get enough attention these days, so power to you!! !